I’m sure that most of the presentations delivered at BILT this week are showcasing the benefits to be had with BIM and highlighting some of the new fancy gizmos and processes currently available. Well, I want to take a different angle to all of this and start by telling a story – a story of the world I live every day. In this session I will showcase some design collaboration processes and tools available on the market for use, as well as some Steelcad has developed in house to better manage IFC models. Getting the process right up front is pivotal to the outcome of a project when Shop Detailing is brought forward into the design space. If the understanding of process and workflows is not understood and addressed in workflows, the desired outcome to fast track a project will either be extremely hard work or worse – It could end in disaster. It’s about time that the cards were laid out on the table and an understanding of construction workflows in design to manufacturing space are considered when planning a project. The only way to optimise BIM Maturity is to understand the needs of each discipline involved in 3D model development. 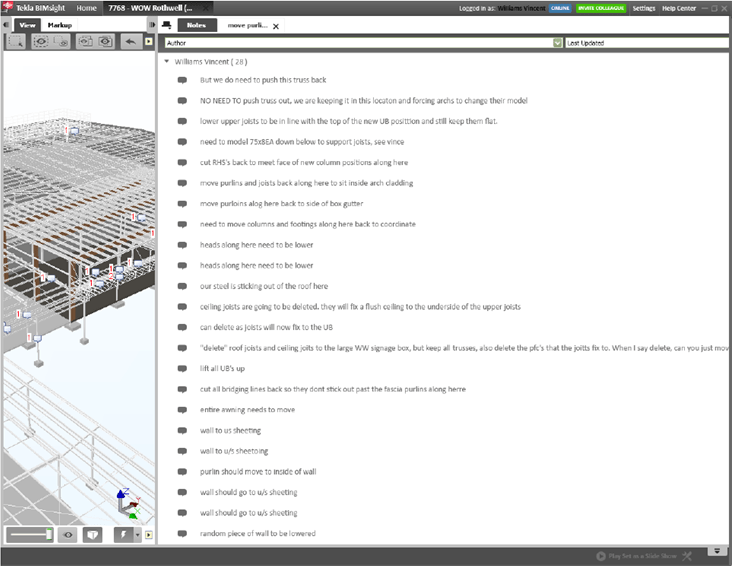 Technology has done much to enhance our working lives; however, it can also be seen as one of the major contributing factors to BIM workflows and data exchange that spirals into a complex tail of doubt and confusion. 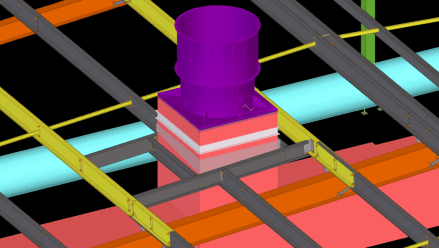 Many large projects try and deal with this issue by developing BIM Management plans which are intended to spell out the requirements of the client or owner in a format which is, quite often, heavily laden with references to academic writings and imagery lifted from papers intended to explain processes. These management plans can be quite wordy with very little direction on how the processes are to be used in practice. If we take a step back for a minute and divorce our minds from the day to day BIM workflows we are currently immersed in, and consider how we interact in person – one on one – with our peers and colleagues; it must be recognised that this ability to converse and convey a message is in stark contrast to what actually unravels in the documentation sector – and we must ask ourselves; why is this so? How do we maximise technology to streamline an approval process? What information could be useful to all parties in the design space? What are the tools best used for collaboration in models which best allows the practitioner to build a model in their 3D package of choice whilst collaborating in a format and process suitable to other parties? What Property sets should be set up to assist in the collaborative process and why? 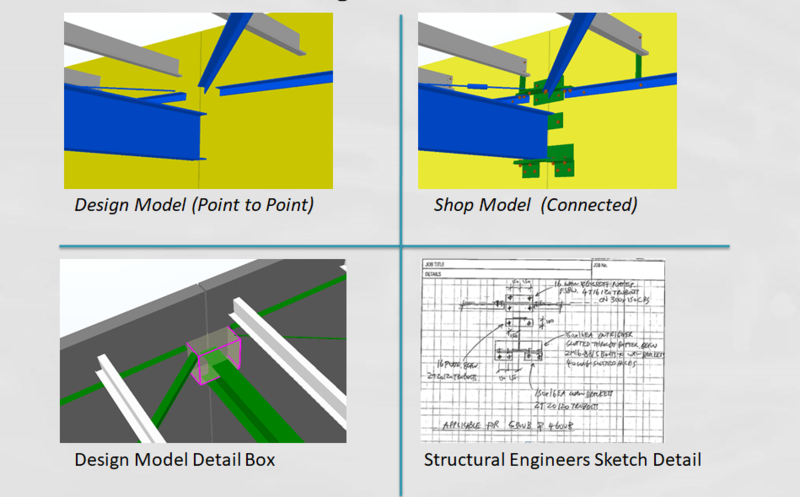 How should we consider conducting Shop Detailing approval using models and collaborative tools? The title of this presentation refers to a term I have coined for what I see as an overarching explanation to the decline in quality of documentation – that is the term BIMBoozling. 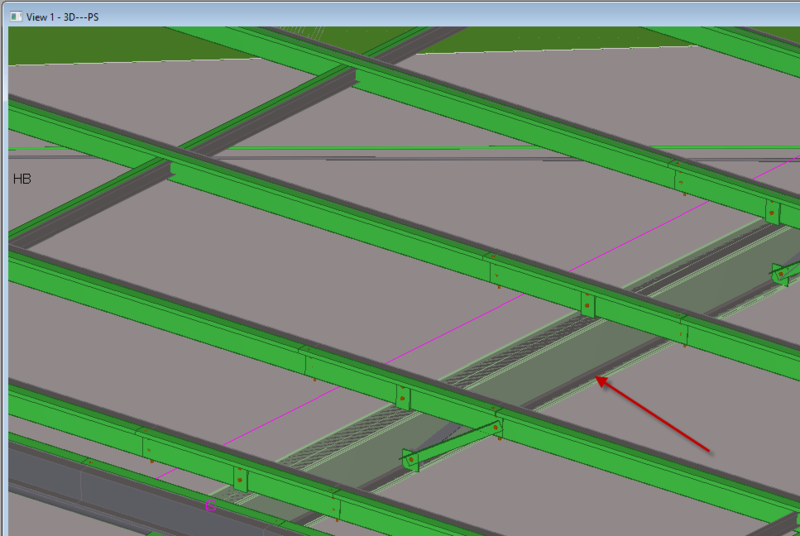 Steel Detailers work at the front end of the construction phase of the BIM cycle and we work to an LOD many others in the BIM space are NOT exposed to – we work to the millimetre. Over the decades I have come from a drawing office background where the media used to develop fabrication and construction documents was a very manual process (the drawing board – pen and ink). The output was quite stylised and the detail much more simplified – It was a result of the technology available at the time. I have seen and used systems from 2D to the present day 3 dimensional systems and have been exposed to the ever-evolving design deliverable as they too undergo the uptake of 3D technology for the purpose of documentation – I’d like to emphasise – “for the purpose of documentation” – after all that is the intention of these tools after all. It has become clear that technology has become quite a distraction for many, as the race to keep up with the speed of change has proven problematic, and at times very difficult. Where the document output is cumbersome in delivery and for the most part never really finished. It would be ignorant of me to blame all of this on the consultants, for these are the documents I speak of, however, I know many, and not one of them strives for a substandard result. There are many factors at play, one being technology, contracts are also problematic, and for all of us time is our enemy and the number one cause for unfinished or late work. I use the term BIMBoozling because I have personally seen the problems which BIM has caused. BIM has almost become a dirty word by many in the construction industry because let’s face it, despite all the marketing spin of positivity, very few are seeing the so called “real” benefits. I believe many are simply Bamboozled by the complexity of technology and not only battle to make it work in house but also struggle to realise how to get gains industry wide! 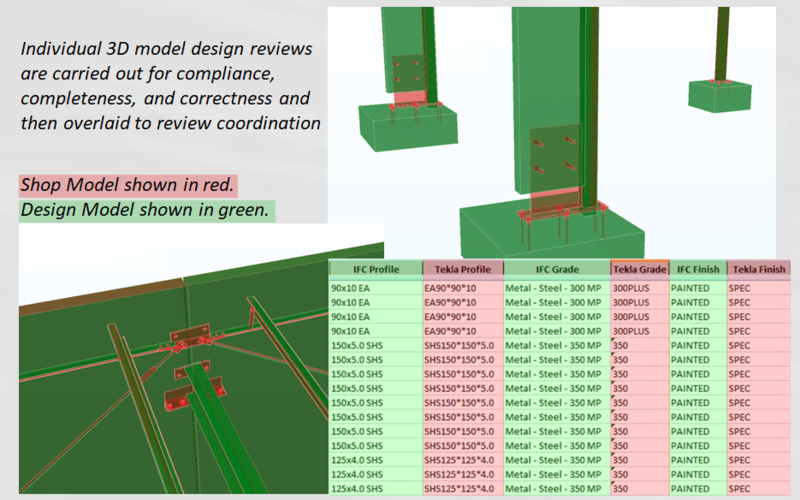 I personally believe the only answer to the improvement of design documentation quality is to address the entire BIM workflow across discipline and I hope to show some samples of how this can be achieved. Because this failure to effectively communicate is costing the industry a fortune. 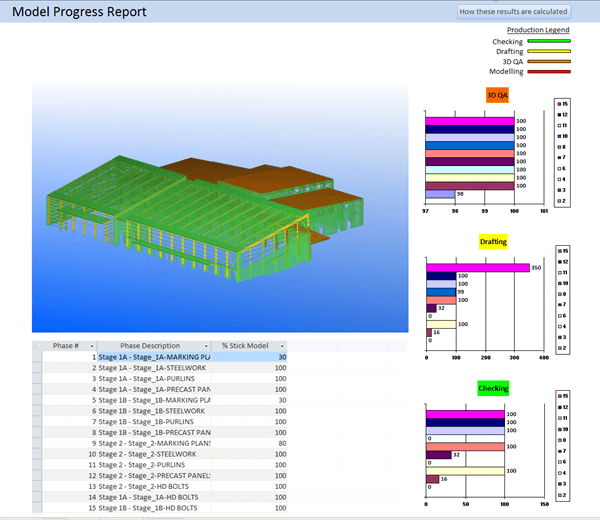 BIM starts it genesis at the business level, for many of us technology has worked well despite my previous comments, but it works in a silo – locally and mostly with minimal disruption. I’m sure that other disciplines in the construction industry can point to a number of gains they have from the BIM uptake, not only gains for their business but gains they can pass on to others or their clients – so it’s not all a sad story. 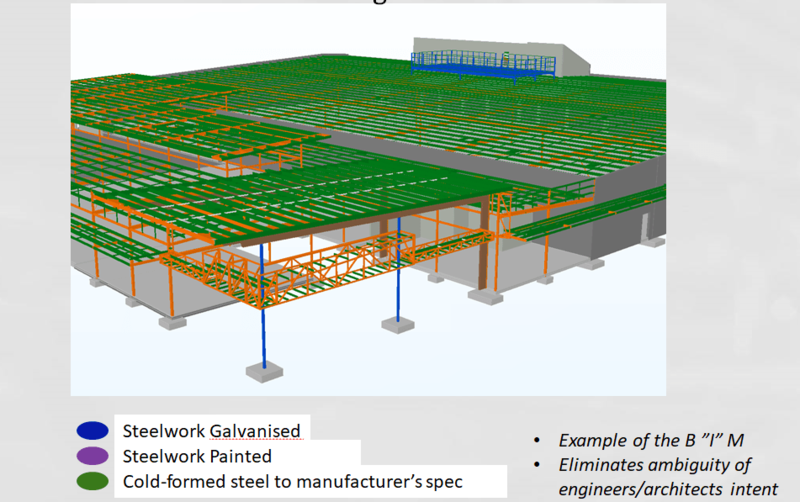 There are a number of 3D model review tools out there on the market, such as Navisworks, Solibri and BIMSight but they are all used in a common way – in isolation to the native source models. Yes, I realise that there are additional tools like IConstruct, an addition to Navisworks which can allow cloud collaboration but in my experience this sort of technology is not widely used, and we probably should ask, why is that? Now I want to start the presentation officially by playing a movie which sums up the 3D collaborative approach well, and yes, I have played this video at RTC before, but I believe (as we made the video) that it articulates the 3D collaborative results quickly and is a solid base from where to start. 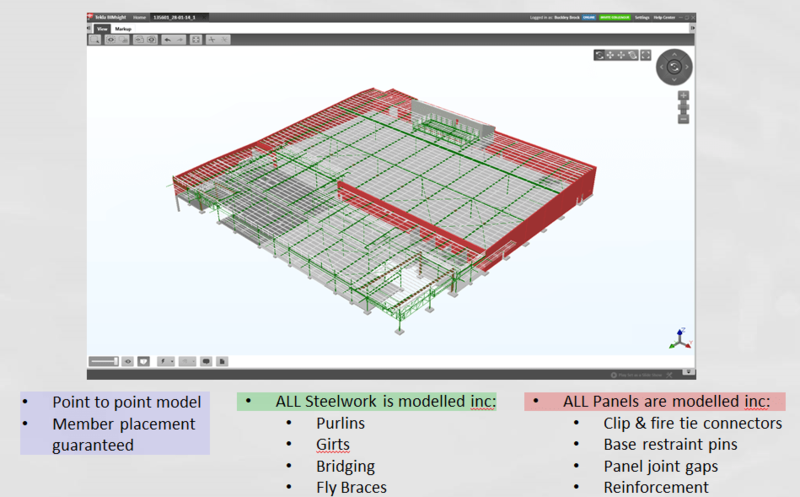 I have delivered many presentations showing the workflows between Steel Detailing and design consultants. Mainly the focus has been with Engineers, but we have used the same process with Architects and mechanical Engineers also. The power of the 3D review or 3D collaboration cannot be overstated! The additional dimension gained by being able to visualise and determine clashes is invaluable to say the least. We are able to converse in a visual environment, coordinate, communicate and bring cross discipline details into alignment. The aim being less rework for the parties involved. This is intended to pick up every single stick modelled by the engineer – ensures that every part is accounted for. It’s not until recent times where we have had the opportunity to bring all models into one centralised location for collaborative purposes. There have always been two schools of thought to BIM collaboration and model development and vendors have always pushed their own agenda – one thought being; just use Tekla or Autodesk! We all know that this isn’t the way the industry works, and all modelling software speaks a different tongue. The other school of thought being; Specialised modelling software, taking advantage of an industry standard communication process – i.e. IFC and BCF. There are many tools used to deliver parts of a structure, and IFC format has been seen as a mechanism via which digital collaboration can occur effectively, as it delivers more than just a pretty 3D image. I believe that the idea of the central model where by all actors feed from and to using native language, is either a pipe dream or is a long way off and the closest to live collaboration of the multi-disciplinary kind is what we have at hand today and what I am about to show. As I have shown, for the most part we are constrained by contracts and project workflows and the BIM gains really are isolated to a Silo space – “contained within our own businesses”. We work well in isolation and we run into trouble when we have to collaborate because the terms of trade are not cut and dry. Models and information, unless centralised to a single point of truth – ie cloud, can be outdated unless they are kept up to date and many out on site are frequently walking around with the wrong revision drawing – this is common place! Let me bring all of this together and show off this test case, a part of a project we have been working on this year where the consultants are in Revit, we use Tekla Structures and we have even generated a point cloud survey of the “as built” on the building using a Trimble machine – This is Trimble Connect, a cloud based BIM collaboration software. Directly from Tekla and Revit, Revit has a plugin available – The file format to upload is done via the application. This is where IDMs (Information Delivery Manuals) and MVDs (Model View Definitions) can be somewhat explained. Any notes applied to the model can be saved as views and sent to other users for action. Can make the models any colour you like – however it doesn’t seem to save the change which is weird. The cost structure of this isn’t totally clear. Wouldn’t want this to be a user pay system. Would be good to be structured like Aconex. There are no perfect systems and what I have showed you is an example of what is possible now, in 2018. Point Clouds have been able to be referenced into 3D software for a while, but file size has dampened the frequency of their use. 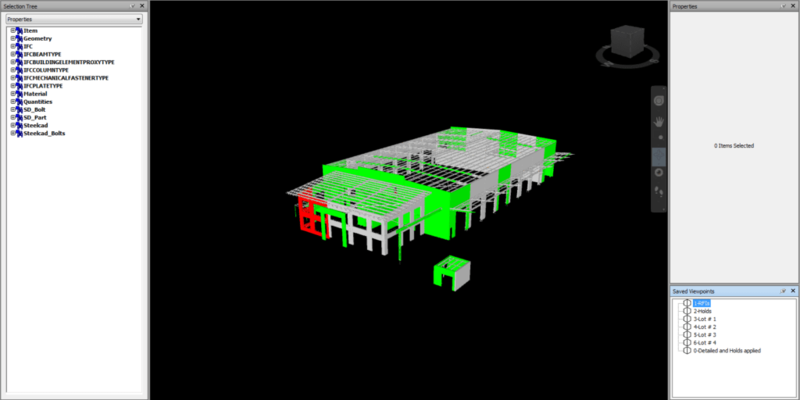 We have a number of platforms where by 3D collaborative work can be undertaken in a central location and it is possible to link this with some native source models. It’s time the construction industry moved forward and embraced this technology and help push the understanding of cross discipline workflows. Miscommunication and misinformation is rife and much of it can be pointed to the nature of current workflows in silos – they do not work! I thank you for your attention – are there any questions?